In Pakistan Thursday the assassination of former Prime Minister Benazir Bhutto commemorated. It's exactly five years since Bhutto in the Pakistani garrison city of Rawalpindi was assassinated. Her son Bilawal Bhutto Zardari gave a fiery speech may be the start of his political career. The 24-year-old Bilawal Bhutto Zardari spoke to thousands of supporters in the village of Garhi Khuda Bakhsh, where the mausoleum of the Bhutto family stands. He promised to fight militants in order to protect democracy. He also said that his mother has sacrificed her life in order to maintain democracy. Buttho Benazir was assassinated in 2007 in an attack, the perpetrators were never found. 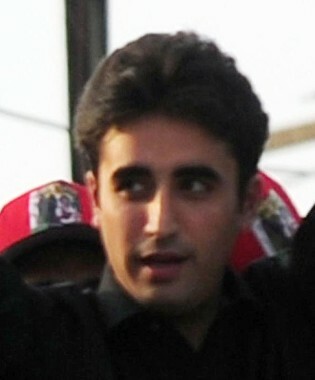 Bilawal became Chairman of the Pakistan People's Party after the death of his mother, but has largely remained in the background while his studies in Britain shroud. He is still too young to next year to take part in the elections, but his speech he allows himself to be the first political funds. Thursday Bilawal was assisted by his father, President Asif Ali Zardari.